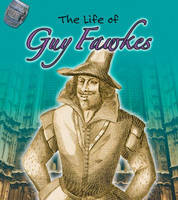 Guy Fawkes Night takes place on 5 November. This page has information on Christchurch Guy Fawkes events, the history behind the celebration and fireworks safety. The day celebrates the failure of the Gunpowder Plot in 1605. Guy Fawkes is the best-known figure in the conspiracy which aimed to blow up England’s Parliament building with King James I and his chief ministers. The Plot was a reaction to the increased oppression of Roman Catholics in England. England’s celebration of Guy Fawkes includes fireworks, bonfires, children begging ‘a penny for the guy’, and the burning of effigies of Fawkes himself. In New Zealand and other countries, fireworks are the main element of the occasion. 5 November is also notable in New Zealand history as the date of the invasion of Parihaka. Biography from Oxford Dictionary of National Biography. Information from the New Zealand Fire Service. Find out about keeping animals safe. From the RSPCA (UK). How fireworks are made Find out about the chemistry and physics of fireworks from How Stuff Works.